Participants have to be of legal age (18 years or older) to participate in the competition. The hotel reserves the right, at any time, to verify the validity of entries and entrants (including an entrant’s identity and age) and to disqualify any entrant who submits an entry that is not in accordance with these Terms and Conditions or who tampers with the entry process. Errors and omissions will be accepted at the hotel’s discretion. Incomplete or indecipherable entries will be deemed invalid. Multiple entries for this competition will be allowed. Any personal information you provide will not be forwarded to third parties, however will rest in the proprietorship of Dalata Hotel Group and Maldron Hotel Belfast City & FLYBE. Any entry must be made upon completion of a transactional booking and recording on the competition weblink for any booking up to 31st December 2018. Multiple entries will be accepted. One winner will be announced on 1st July or shortly thereafter and will be informed via e-mail. The Winner of the Competition will win a voucher equivalent to a 2 night stay including Breakfast for 2 nights for a stay at the Maldron Hotel Belfast City. Flights provided by FLYBE and subject to FLYBE Terms and Conditions.. The emails and information attained may be used for further promotional activities including announcement of the winners. Entries can be made by completing the following competition form. The prize voucher will be issued on the winner’s name and it is not transferable, cannot be changed or redeemed for cash. Prize is subject to availability and booking in advance is required. In order to qualify for the prize, the winner will be required to record their name, a valid agency/TMC email address and a booking confirmation number for verification. The Winner agrees to participate in any promotional activities associated with the Prize such as public appearances, photo opportunities or media interviews as might be required by the Hotel. Dalata Hotel Group and Maldron Hotel Belfast City shall use reasonable effort to contact the winner via e-mail. 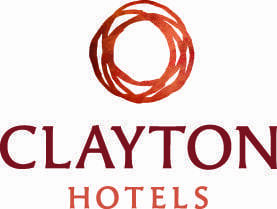 If unable to contact any winner within a reasonable period of a winner having been selected, or if any winner is unable for whatever reason to accept the prize, or does not respond to communication then Dalata Hotel Group & Maldron Hotel Belfast City reserves the right to award the prize to another participant. The hotel’s decision is final and no correspondence will be entered into. The winner will receive: a pair of return ‘Get More’ Flybe flight tickets from the UK to Belfast City (subject to the terms and conditions below). Both flights which comprise the prize must be taken simultaneously and cannot be used on separate dates. Flights must have a BE flight code and be operated by Flybe and do not include codeshare or franchise operated routes. Flights must be booked and flown by 31/12/18. Please see flybe.com for full schedule details. All flights are subject to Flybe’s General Conditions of Carriage as updated and amended from time to time which can be found at flybe.com. Any flights not used by this date shall result in the prize being forfeited. The winner is responsible for their own passport and visa requirements and the passport and visa requirements of any person who travels with them. Travel insurance and transfers are NOT included in the prize. Taxes and charges ARE included and a 23kg hold bag. Flight tickets are strictly subject to availability.